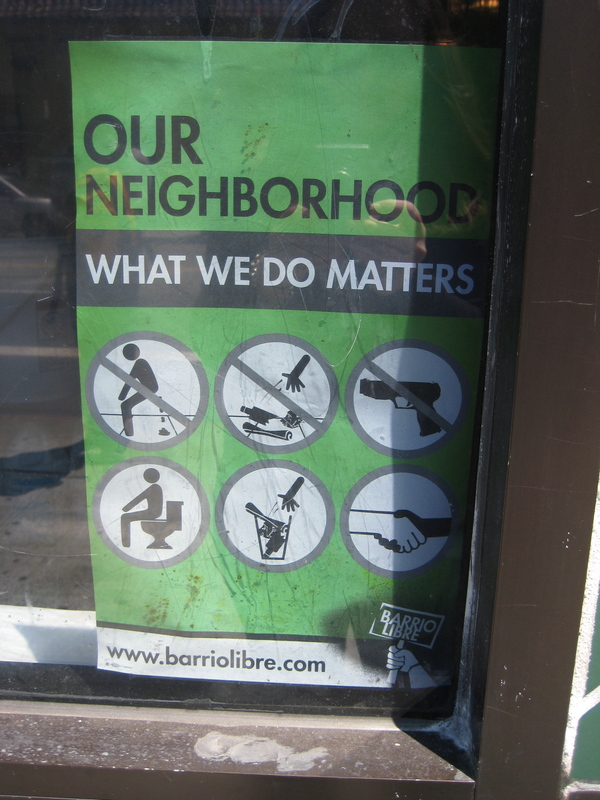 Saw this odd community awareness poster in San Francisco. Thinking about hanging one in our house during these days of potty training Nash. Of course only the first column applies to Nash…we currently don’t have a problem with fire arms or littering…just poo-ing on the floor.